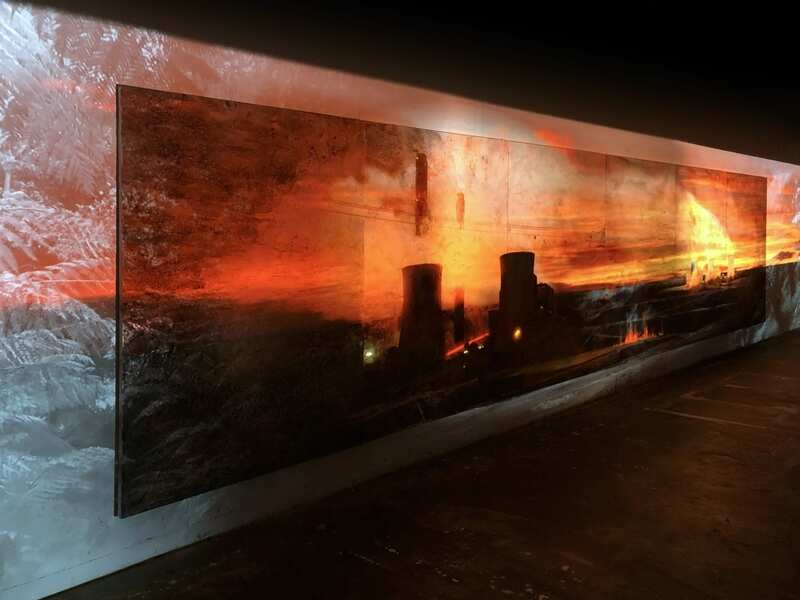 Image credit: Alexander Boynes, Mandy Martin, Tristen Parr, Rewriting the Score, 2019, Acrylic, oil, pigments on linen, 3 Channel 4K video with stereo sound, 230cm x 1150cm. Image courtesy of the artists and Australian Galleries. 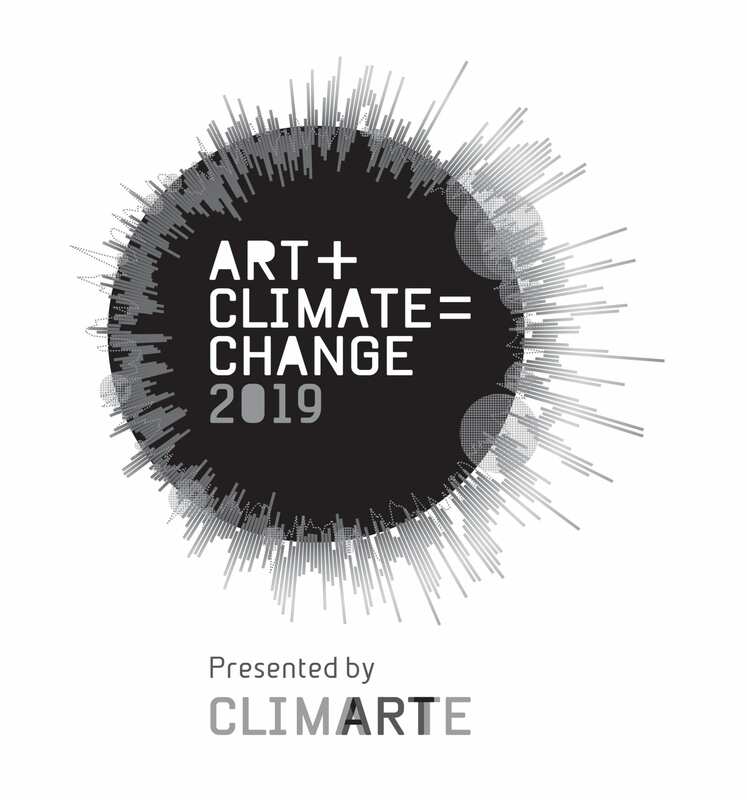 Alexander Boynes, Mandy Martin and Tristen Parr have collaborated on a new 12 metre installation for ART+CLIMATE= CHANGE 2019 at Latrobe Regional Gallery titled Rewriting the Score. 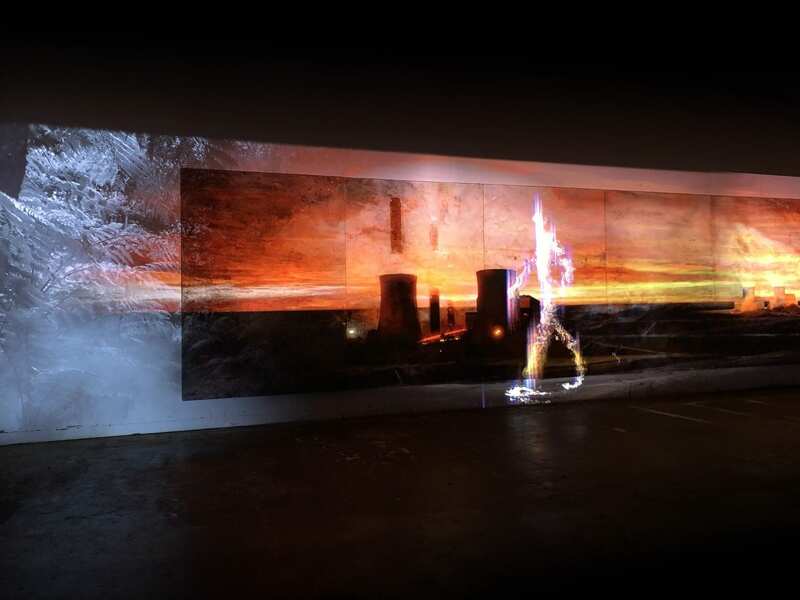 It incorporates painting, video and sound to address energy transitions occurring in the Latrobe Valley at the current time. Mandy Martin’s high key canvases represent the natural and industrial environment, at this moment. These canvases are also the grounds for Alexander Boynes’ digital video projection which transports us out of the ash forest and into the Latrobe Valley, thrusting us into the future of the Anthropocene. Tristen Parr’s sound work literally ‘rewrites the score’, the Elysium forest in Eugene von Guerard’s ‘Fern Tree Gully’ still rings to the sound of tree clearing but also carries the rumble of a new threat, Climate Change. His powerful cello composition melding with melancholic natural sounds remind us that the real world waits just beyond.